Do you shy away from witnessing because you feel like you don’t know how or wish to be able to share the gospel more effectively? If you want to gain confidence in sharing the clear Gospel, then Evangelism Made Simple is the perfect resource for you. 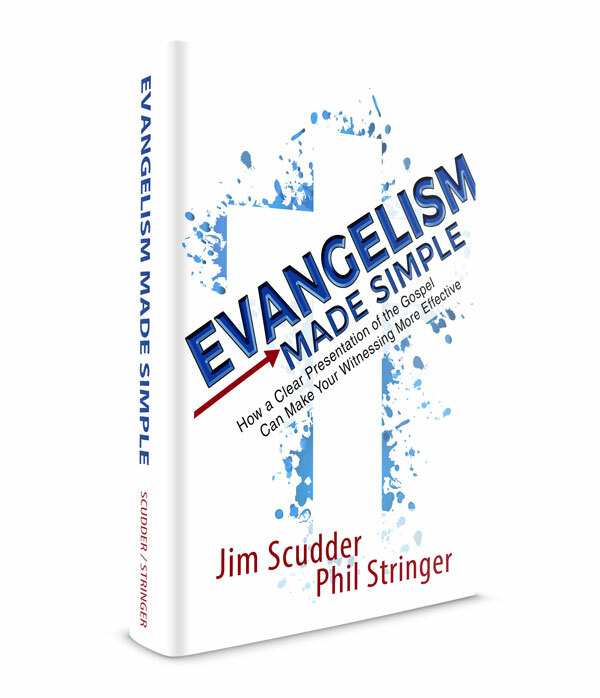 From addressing precision and simplicity to having the proper motivation and a sense of urgency, this book by Pastor Jim Scudder and Dr. Phil Stringer will change the way you approach the lost. Jam-packed with helpful tips and answers to common questions, this book explains how to witness effectively and deals with how to reach people of different religious backgrounds. In this day of so much biblical confusion, this book will encourage and equip you to be a soul winner.